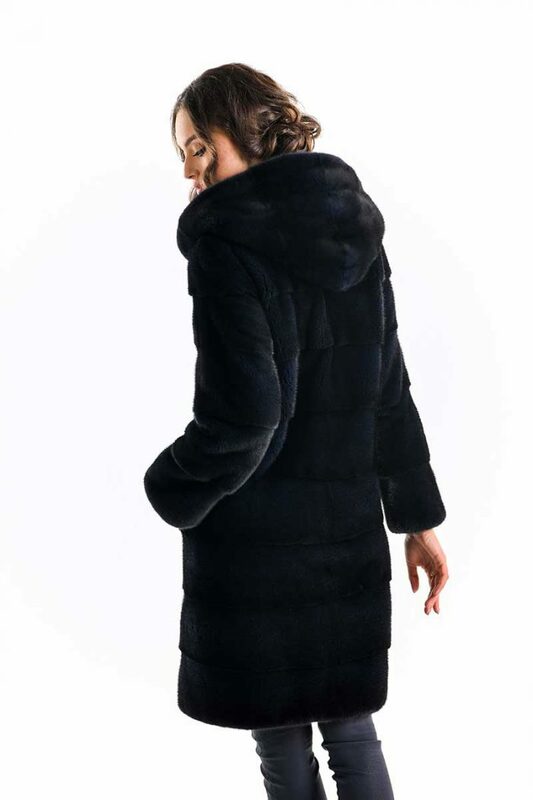 This women’s coat is made of the finest mink fur and can be a piece of resistance in your autumn and winter wardrobe. Comfortable and easy to wear, this coat will make you feel pampered thanks to the texture of mink fur, very pleasant to touch and good insulator against cold. The coat has the padded interior and closes, simply and quickly, with discrete clips. The hood is another element that provides the necessary heat for the head area, so sensitive to the cold wind.